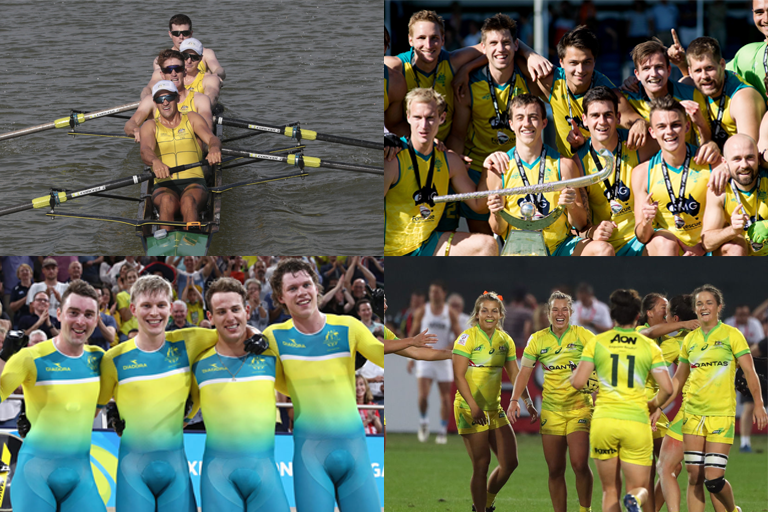 The AIS has determined finalists for its Team and High Performance Program of the Year awards, with cycling and rowing represented in both categories. Men’s hockey, women’s rugby, triathlon and lawn bowls are among the other contenders. The AIS Sport Performance Awards (#ASPAs) are the annual celebration of Australian high performance sport, with winners to be announced at a black-tie function at The Star, Sydney, on Thursday 13 December 2018. Men's 4000m Team Pursuit (Cycling): The Australian team of Alex Porter, Sam Welsford, Kelland O’Brien and Leigh Howard set a scorching world record of 3 minutes 49.804 seconds to win the Commonwealth Games gold medal, the first time Australia has held the world record since 2004. The Australian Kookaburras (Hockey): The Kookaburras returned to the world number one ranking after winning the elite World League Final in December 2017. They won gold at the 2018 Commonwealth Games, before adding the prestigious Champions Trophy to their trophy cabinet in July. Australian Men’s Four (Rowing):The crew of Alexander Hill, Spencer Turrin, Jack Hargreaves and Joshua Hicks defended their world championship title in 2018, defeating Olympic champions Great Britain. The team also won the Rowing World Cup, taking gold and World Cup Meets Two and Three. Australian Women's Sevens (Rugby): Australia was crowned world champions for the second time in three years, dominating the 5-leg series from November 2017 to June 2018. They almost added a Commonwealth Games gold to their Olympic title, beaten in an over-time thriller by New Zealand. Lawn Bowls: The Australian Jackaroos secured five golds and two silver at the 2018 Gold Coast Commonwealth Games, their most successful haul ever. Medals were shared across men’s and women’s competition, in able and para-sport events of all ages. Ken Hanson, 68, and Lynne Seymour, 67, became Australia’s oldest ever Commonwealth Games medallists. Cycling: A dominant performance at the Commonwealth Games, including a table topping 10 gold medals on the track, was complemented by outstanding performances on the road. Rohan Dennis became the first Australian man since Cadel Evans in 2009 to hold a road world title, claiming the time trial. Rowing: Australia’s rowers delivered 33 medallists from the world championships, led by gold to the men’s four and Paralympian Erik Horrie in the PR1 Men’s Single Scull. It was Horrie’s fifth consecutive world title. Triathlon: Australia’s Mixed Relay team showed it will be a strong medal contender when the sport makes its Olympic debut at the Tokyo 2020 Games. The team won Commonwealth Games gold, the World Series and took silver in the world championship. Paralympic triathlon was also strongly represented, led by world championship gold to wheelchair athlete Emily Tapp. Finalists will be announced this week in other categories for the AIS Sport Performance Awards (#ASPAs), including: male athlete; female athlete; emerging athlete; Para-performance; coach and; leader.